Join in for good old-fashioned fun as we take a hayride around the farm followed by a campfire and s'mores. Bring a blanket and settle in for evening of traditional fall fun. Or if that is a little tame for you maybe you would prefer to use the blanket to hide from a serial killer that terrorizes your haunted hayride. 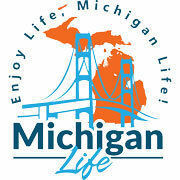 Either way we have you covered with a complete list of Michigan Hayrides narrow down the listings by Michigan Region.